Details: 2 Bedroom, 2.5 Bath Gulf-front Property with 1,135+/- sq. 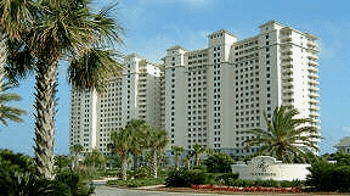 ft.
Gulf Shores condo for sale at The Beach Club. This is furnished resort residence is located at an upscale family beach resort with amazing amenities including multiple pools & hot tubs, an exercise facility, tennis courts, on-site restaurants, a spa & salon, a game room, and more! Relax with direct views of the Gulf of Mexico from the living, dining, kitchen, master bedroom & large private balcony! Upgrades to this condominium include: crown molding, granite counter-tops and new tile flooring. The original appliances, HVAC system, water heater, clothes washer & dryer have all been replaced. This beachfront condo has a great rental history! Owners are permitted to bring dogs (with restrictions) - seeing is believing, check out this one!